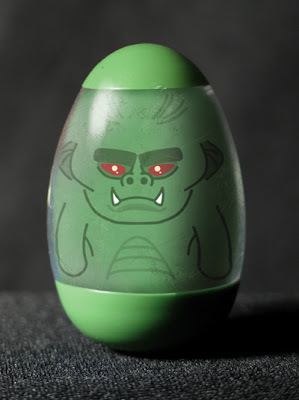 I designed my sixth fantasy weeble in the likeness of Stretch Armstrong's foe, the Stretch Monster. It's all in honor of Stretch Monster Week, which is happening right this moment over at Neatocoolville! Check it out if you want to be a part of the grandest, most comprehensive Stretch Monster tribute that the Internet has ever experienced. Cjd- that is pure crazy talk.